What a lovely end to the evening. And a great image of Crabbs Barn Kelvedon. 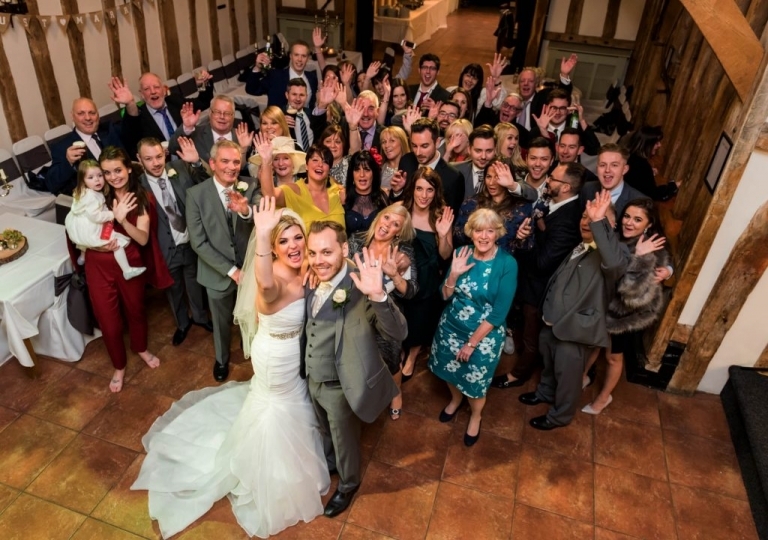 Just before the first dance we organised everyone to give a wave. Always an image that brings on a smile to the viewer. This group photo is something you need to have in your album.